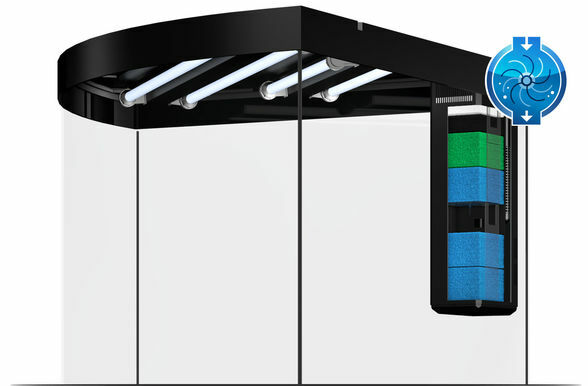 The TRIGON 350 LED will stand out in any corner, with its extraordinary depth of 87cm, curved front panel and optimum lighting provided by four fluorescent tubes. Large fish and even the most demanding of marine species will be right at home in the TRIGON 350 LED. Painstaking workmanship from Germany, top-quality materials and perfectly tuned technology guarantee the very best of quality and safety, meaning a long service life for your TRIGON 350 LED. 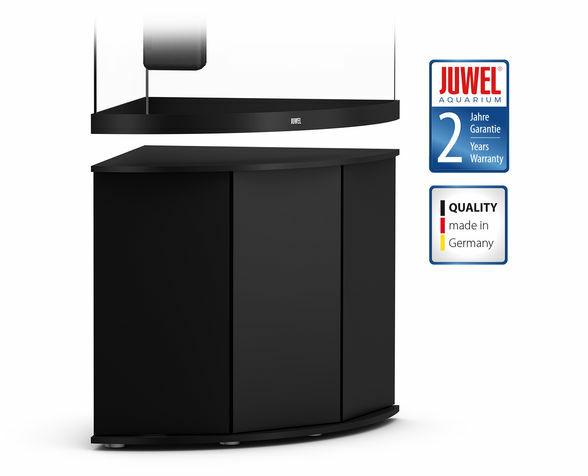 Brilliant luminosity and excellent plant growth are what you get with the state-of-the-art Multilux LED lighting technology from JUWEL. 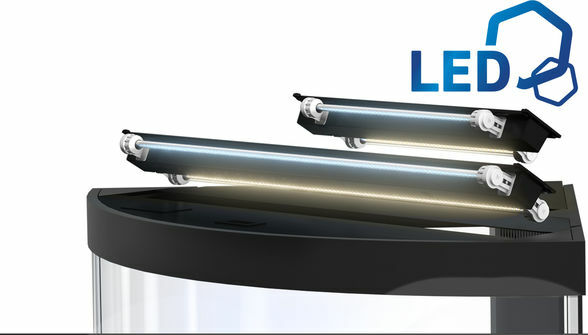 The replaceable 12-watt & 23-watt DAY and NATURE LED tubes create an optimum light spectrum, while saving up to 50% of energy in comparison to T5 at the same time. 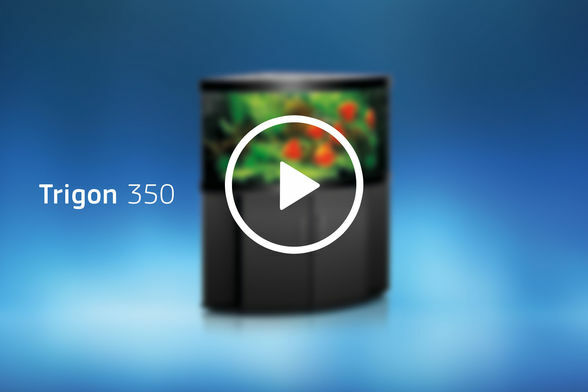 The MultiLux LED lighting system for the TRIGON 350 LED means that you can work on your aquarium in comfort, even when the lighting is switched on. 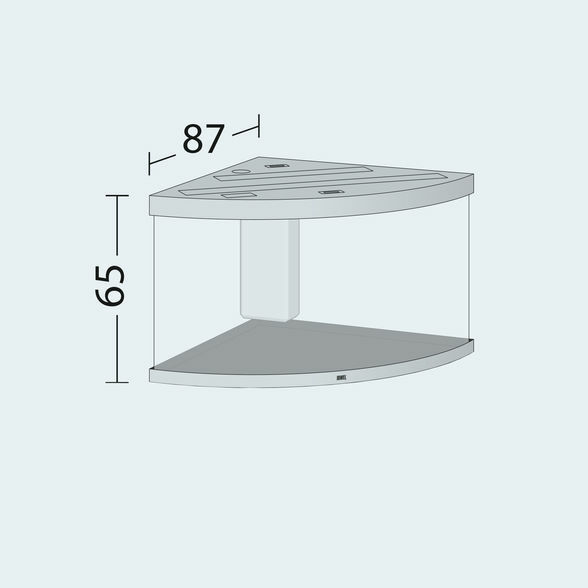 For optimum filtering, the TRIGON 350 LED is fitted with a high-performance Bioflow XL. 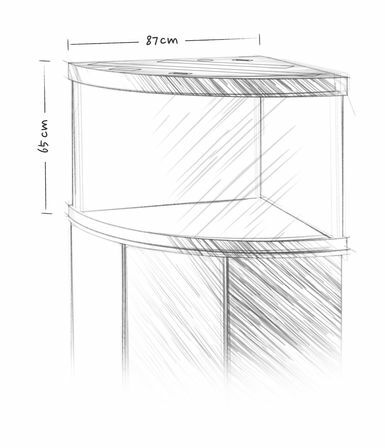 This internal filter combines efficiency with safety and forms the centrepiece of any JUWEL aquarium. 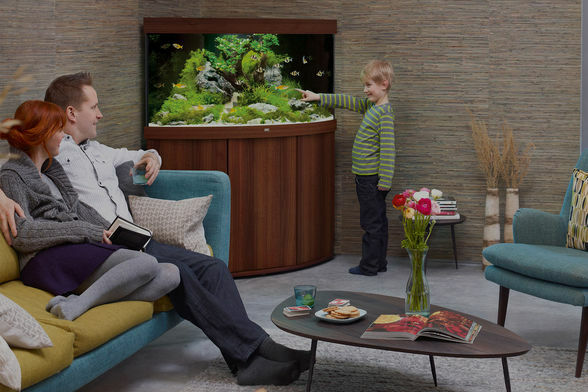 It works on the principle that “The water should stay in the aquarium!” and is the safest way of filtering an aquarium. The Bioflow XL comes fitted with five high-performance filter media and a quiet yet powerful Eccoflow 1000 circulation pump. 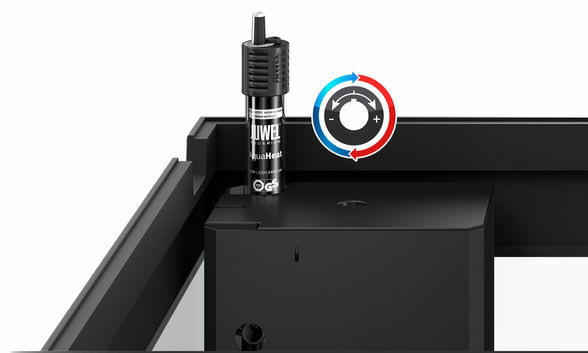 The 300 Watt JUWEL adjustable heater, which is perfectly embedded in the water circulation in the Bioflow XL filter system, ensures the right temperature in the TRIGON 350 LED.